Started in Palo Alto in 2012, now with offices in Milan, the company has earned the trust of high caliber companies such as Alitalia, Mondadori, Stefanel, Maserati store, Lenovo, Microsoft and Yamamay. The e-commerce technology based on behavioral analysis of users is getting more and more ground in the market. 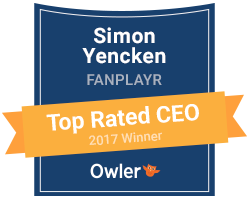 Fanplayr, started in Palo Alto and based in Milan since 2013, represents excellence in the area of how to use big data to maximize effectiveness. From 2013, Fanplayr has tripled its sales every year until 2016. “This year is proving to be a very good year for customer activation. In the first half we had a record growth of 36% over last year.” - Mariano Tripiciano (VP Europe of Fanplayr) told Today Advertising Italy. Yamamay, El Corte Ingles, La Redoute and Toys Center have used Fanplayr to increase the effectiveness of their mobile stores. “Through a statistical method and a proprietary algorithm that analyzes in detail, the user behavior we can offer to those in e-commerce a technology to generate a real-time pulse. Our platform, which tracks visitors and customers of e-commerce sites, tracing user behavior, is able to generate an increase in the average basket and then the turnover of online store sales with a remuneration model based solely on actual sales generated” continues Mariano. Fanplayr supports e-commerce retailers converting visitors into real time buyers, targeted them with offers that respond dynamically to user behavior. Specifically, you can create ad hoc offers for each user, leveraging gamification, integrated social and optimized sales. A predictive marketing solution that will give retailers a segmentation engine that targets marginal users with exciting offers and messages capable of developing a high rate of conversion and AOV. For the next month Fanplayr will launch a platform upgrade enhancing purchasing on mobile, pointing to an advanced segmentation by multiple device.